I made this scarf for my boyfriend last winter. It’s super easy and also super cozy when wrapped under a winter coat. Loved it, but unfortunately it was a knitting pattern. No fear! Let’s just crochet it. Any yarns you like.. I used Bernat Premium in Grey, Lion Brand’s Vanna’s Choice in Fern, Red Heart’s Super Saver in Gold and Loops & Thread’s Impeccable in Dark Green. Row 3-152: Repeat Row 2 changing colors as shown below. 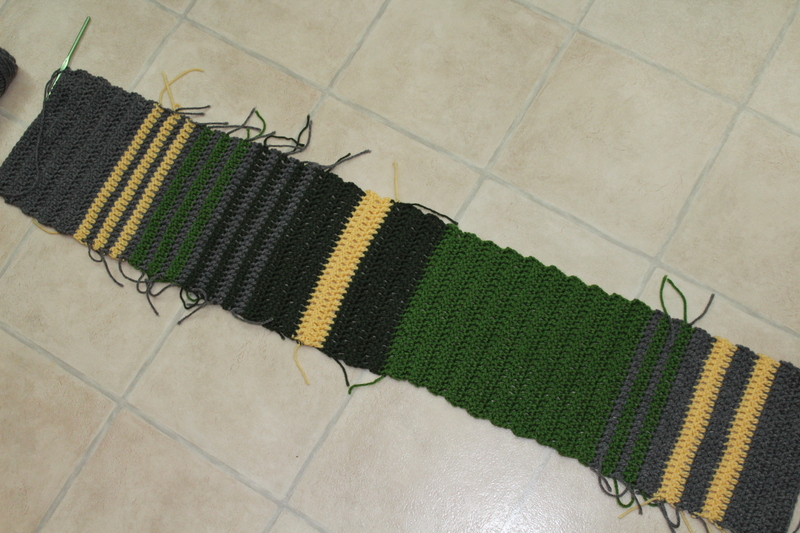 The completed scarf is 152 rows. After weaving in the ends, I added tassels. At this point I had run out of the lighter green so the tassels don’t have any light green in them. 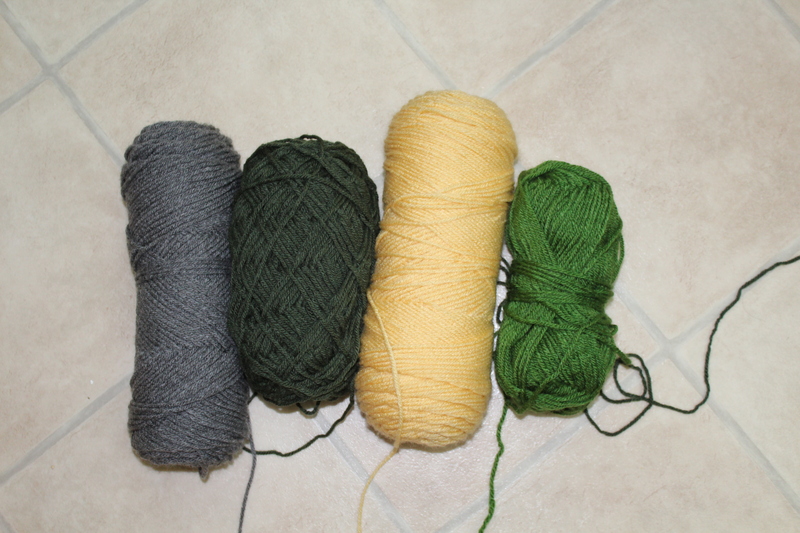 I cut 1-5 inch strand of the Grey, Gold and Dark green, then looped them through and knotted in each DC across. Check out more scarves here.